The big picture: Google is transitioning customers away from "classic" Hangouts to the Hangouts Chat & Meet applications. The company is hoping to streamline its confusing mess of messaging applications, while getting enterprise customers to switch away from Slack and Microsoft Teams. 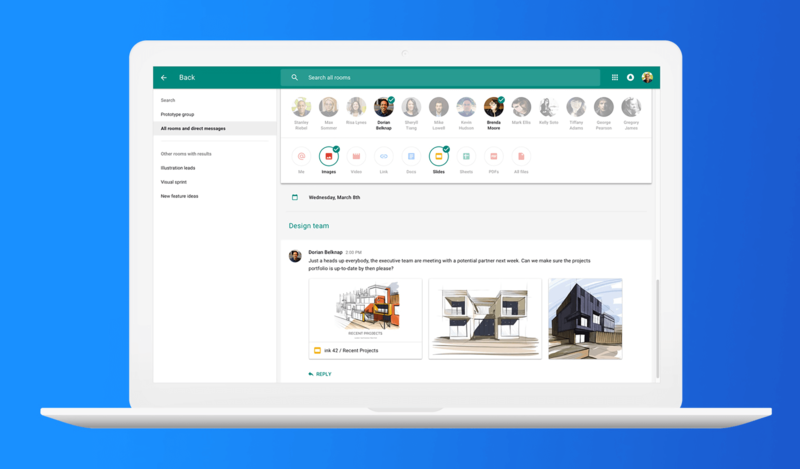 Earlier this year, Google announced that it was rolling out its Slack competitor, Hangouts Chat, to G-Suite customers. This was part of a larger ploy to ditch Hangouts itself. The company has finally revealed that the switch will happen in October with G-Suite customers being the first ones to be kicked off. Google created a phased timeline in which this will happen. Several administrator facing changes will be added, including the ability to disable the classic Hangouts user interface. Google Vault customers will need to ensure that their existing retention rules and holds for Mail are correct and that the "indefinite retention" rule is removed or else all chat messages will be kept forever. Customers will be able to transition to Hangouts Chat immediately while Google adds classic Hangouts features such as Gmail integration and Google Voice. Classic Hangouts will officially be retired for G-Suite customers and switched over to Hangouts Chat. Once G-Suite customers are transitioned, Google will slowly begin targeting regular consumers once G-Suite customers are fully transitioned (and likely acclimated) to the updated application. Google killing off a feature is nothing new for the company. In fact, it's become somewhat predictable at this point. In order to compete with iMessage, Google released Allo but is killing that off in favor of Rich Communication Services (RCS). Fortunately, this has gained a little bit of traction of late with Verizon launching RCS messaging on the Pixel 3 and 3 XL and Google's own Fi network also getting in on the rollout. This effort to transition to Hangouts Chat could be fruitless though, at least for people who don't pay for G-Suite. Google already has a plethora of messaging apps that it has tried and none of them has really stuck, meanwhile Whatsapp and Facebook Messenger remain the dominant mobile messaging platforms worldwide. Even within G-Suite customers, Slack is still largely used with Microsoft attempting to lure its Windows enterprise customers to Microsoft Teams. Google's strengths have largely been with machine learning and artificial intelligence. If Google can leverage those strengths with a solid enterprise messaging offering then perhaps it can pry customers away from Slack and Microsoft Teams. Until then, it's unknown if this shift to yet another Hangouts product will continue to confuse customers.